As an adult, Turner’s interest in programming grew. She taught herself to program and attended tech events but it didn't feel right. She grew frustrated at being one of the only women in the room, being talked down to, and not taken seriously. Then, after speaking with other women at the events, she would realize that it wasn’t just her, “...[that] we all had this shared experience of being talked down to and not taken seriously. That's when I decided to start teaching other women what I'd taught myself.” This is what motivated Turner to start Hear Me Code (HMC), a group that offers free, beginner-friendly coding classes for women in the Washington DC area. RESOLVED, that the Python Software Foundation award the 4th Quarter 2016 Community Service Award to Shannon Turner. 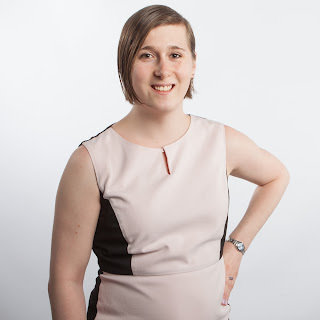 Shannon is the founder of Hear Me Code, an organization offering free, beginner-friendly Python coding classes for over 2000 women in Washington, DC. She teaches all the classes with the help of women who have previously taken the classes. She empowers hundreds of women to code with Python by lowering barriers to entry. More than just a class where women learn to build websites, Hear Me Code focuses on leadership development, peer mentoring, and turning students into teachers. “Now, in addition to running Hear Me Code,” says Turner, “I use Python to help build the kind of world I want to live in.” Some of her other projects include a visualization of 500 schools that aren't taking campus sexual assault seriously and a searchable database of 6000 museums across the US. Turner lives in Washington DC with her pet bird, who she keeps tabs on with her Raspberry Pi. The primary need for a successful community is a good contributor base. The contributors are our real heroes, who work persistently, on many (if not most) occasions without any financial benefits, just for the love of the community. The Python Community is blessed with many such heroes. The PSF's quarterly Community Service Award honors these heroes for their notable contributions and dedication to the Python ecosystem. Sheila Miguez and William Kahn-Greene for their monumental work in creating and supporting PyVideo over the years. The PSF funds a variety of conferences and workshops throughout the year worldwide to educate people about Python. But, not everyone can attend all of these events. Two people, Sheila Miguez and Will Kahn-Greene wanted to resolve this problem for the Pythonistas. Will came up with a brilliant idea of PyVideo and Sheila later joined the mission. PyVideo works as the warehouse of videos from Python conferences, local user groups, screencasts, and tutorials. Back in 2010, Will started a Python video site using the Miro Community video-sharing platform. PSF encouraged his work with an $1800 grant the following year. As Will recalls, "I was thinking there were a bunch of Python conferences putting out video, but they were hosting the videos in different places. Search engines weren't really finding it. It was hard to find things even if you knew where to look." He started with Miro Community, and later wrote a whole new codebase for generating the data and another codebase for the front end of the website. With these tools he started PyVideo.org. "This new infrastructure let me build a site closer to what I was envisioning." When Sheila joined the project she contributed both to its technology and by helping the community find Python videos easier. Originally, she intended to only work on the codebase, but found herself dedicating a lot of time to adding content to the site. The Python community has welcomed Will and Sheila's noble endeavor enthusiastically. Pythonistas around the world never have to miss another recorded talk or tutorial. Sheila and Will worked relentlessly to give shape to their mammoth task. When I asked Will about the community’s response, he said, "Many learned Python by watching videos they found on pyvideo.org. Many had ideas for different things we could do with the site and other related projects. I talked with some folks who later contributed fixes and corrections to the data." PyVideo is a primary source to survey diversity trends among Python conference speakers around the globe. Since its videos are solely Python, it is easily searchable and provides more helpful results than other search engines. It offers a preview of conferences: By watching past talks people can choose if they want to go. With a blog post Will and Sheila announced the end of pyvideo.org. "I'm pretty tired of working on pyvideo and I haven't had the time or energy to do much on it in a while," Will wrote. infrastructure for a community of people to add to, improve and otherwise work on the data. We figured someone could take the data and build a static site around it." Will did a blog post about the status of the data of pyvideo.org, and invited new maintainers to replace the site. 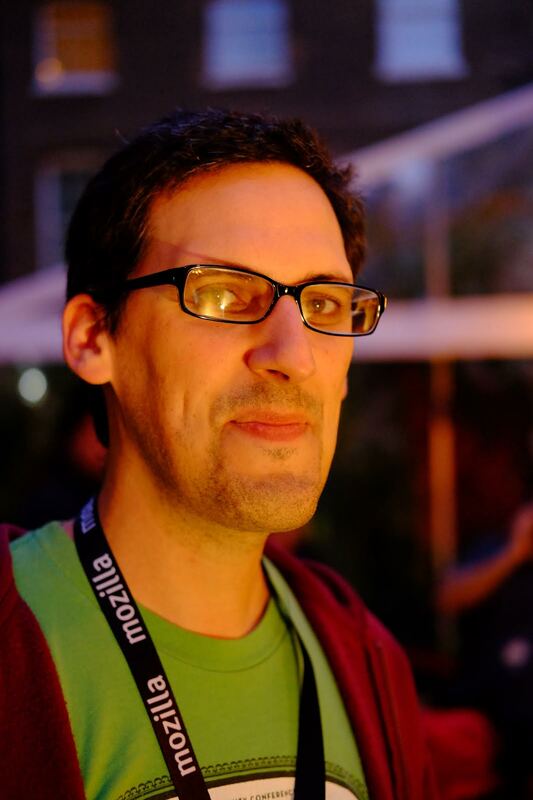 The end of pyvideo.org broke the hearts of many Pythonistas, including Paul Logston. Paul’s mornings used to begin by watching a talk on the site, and he couldn't renounce his morning entertainment. He resolved to replace pyvideo.org. To begin, he wrote his project called "PyTube" for storing videos. Though initially his interest was personal, its educational outreach aspect drove him to finish and publicize the project. Sheila remembers noticing Paul for the first time when she noticed his fork of the pyvideo data repository. She was excited to see that he'd already built a static site generator based on PyVideo data. She read Paul’s development philosophy and felt he was the right person to carry on the mission. In May 2016, at PyCon US, there was a lightning talk on PyVideo and its situation. Paul met some fellow PyVideo followers who, just like him, did not want to lose the site. They decided to work on it during the Sprints. Though the structure of the website was ready, there were a lot of things that needed to be done like data gathering, curating data, and the design of the website. So, the contributors divided the works between them. Both Sheila and Will were committed to PyVideo's continued benefit for the community, while passing PyVideo to new hands. They were satisfied by Paul's work and transferred the domain to his control. Paul's PyTube code became the replacement of pyvideo.org on August 13, 2016. Now the project has 30 contributors, with Paul serving as project lead. These contributors have kept the mission alive. Though PyVideo's aim is still the same, there is a difference in its technology. The old Django app is replaced with a static site generated with Pelican, and it now has a separate repository for data in JSON files. The team's current work emphasizes making the project hassle-free to maintain. Listen to Paul talking about PyVideo and its future on Talk Python to Me. Every community needs someone with a vision for its future. Will and Sheila had showed us a path to grow and help the community. It is now our responsibility to take the new PyVideo further. Paul describes its purpose beautifully: "PyVideo's deeper 'why' is the desire to make educating oneself as easy, affordable, and available as possible." Contributors: please come and join the project, give a hand to Paul and the team to help move this great endeavor forward. In a 1947 lecture on computing machinery, Alan Turing made a prediction: "The new machines will in no way replace thought, but rather they will increase the need for it." It is unclear now whether machines remain slaves, or if they are beginning to be masters. Machine-learning algorithms pervasively control the lives of Americans. We do not fully understand what they do, and when they malfunction they harm us, by reinforcing the unjust systems we already have. Usually unintentionally, they can make the lives of poor people and people of color worse. 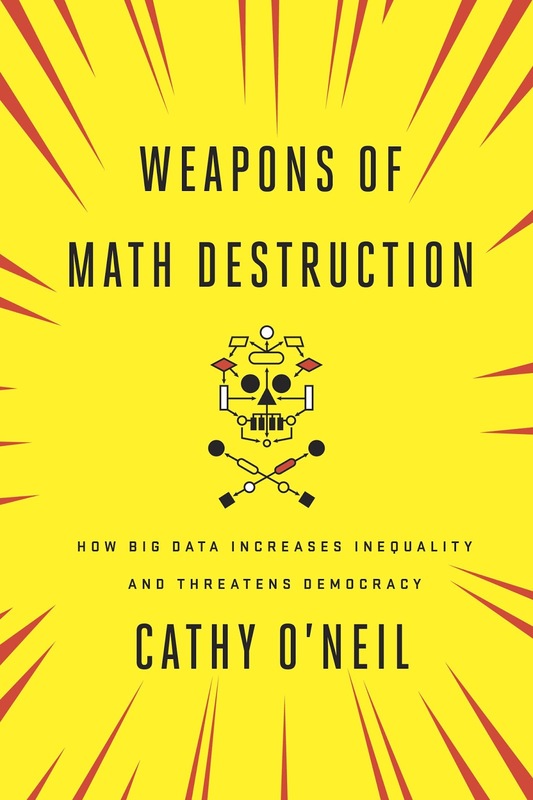 In "Weapons of Math Destruction", Cathy O'Neil identifies such an algorithm as a "WMD" if it satisfies three criteria: it makes decisions of consequence for a large number of people, it is opaque and unaccountable, and it is destructive. I interviewed O'Neil to learn what data scientists should do to disarm these weapons. Recidivism risk models are a striking example of algorithms that reinforce injustice. These algorithms purport to predict how likely a convict is to commit another crime in the next few years. The model described in O'Neil's book, called LSI-R, assesses offenders with 54 questions, then produces a risk score based on correlations between each offender's characteristics and the characteristics of recidivists and non-recidivists in a sample population of offenders. Some of LSI-R's factors measure the offender's past behavior: Has she ever been expelled from school, or violated parole? But most factors probably aren't under the individual's control: Does she live in a high-crime neighborhood? Is she poor? And many factors are not under her control at all: Has a family member been convicted of any crimes? Did her parents raise her with a "rewarding" parenting style? Studies of LSI-R show it gives worse scores to poor black people. Some of its questions directly measure poverty, and others (such as frequently changing residence) are proxies for poverty. LSI-R does not know the offender's race. It would be illegal to ask, but, O'Neil writes, "with the wealth of detail each prisoner provides, that single illegal question is almost superfluous." For example, it asks the offender's age when he was first involved with the police. O'Neil cites a 2013 New York Civil Liberties Union study that young black and Hispanic men were ten times as likely to be stopped by the New York City police, even though only a tiny fraction were doing anything criminal. O'Neil told me that whether an algorithm becomes a WMD depends on who defines success, and according to whom. "Over and over again, people act as if there's only one set of stakeholders." When a recidivism risk model is used to sentence someone to a longer prison term, the sole stakeholder respected is law enforcement. "Law enforcement cares more about true positives, correctly identifying someone who will reoffend and putting them in jail for longer to keep them from committing another crime." But our society has a powerful interest in preventing false positives. Indeed, we were founded on a constitution that considered a false positive—that is, being punished for a crime you did not commit—to be extremely costly. Principles including the presumption of innocence, the requirement that guilt is proven beyond reasonable doubt, and so on, express our desire to avoid unjust punishment, even at the cost of some criminals being punished too little or going free. However, this interest is ignored when an offender is punished for a bad LSI-R score. His total sentence accounts not only for the crime he committed, but also for future crimes he is thought likely to commit. Furthermore, he is punished for who he is: Being related to a criminal or being raised badly are circumstances of birth, but for many people facing sentencing, such circumstances are used to add years to their time behind bars. Cathy O'Neil says weapons of math destruction are usually caused by two failures. The first is when only one stakeholder's interests define success. LSI-R is an example of this. The other is a lack of actual science in data science. For these algorithms, she told me, "We actually don't have reasonable ways of checking to see whether something is working or not." A New York City public school program begun in 2007 assessed teachers with a "value added model", which estimated how much a teacher affected each student's progress on standardized tests. To begin, the model forecast students' progress, given their neighborhood, family income, previous achievement, and so on. At the end of the year their actual progress was compared to the forecast, and the difference was attributed to the teacher's effectiveness. O'Neil tells the story of Tim Clifford, a public school teacher who scored only 6 out of 100 the first year he was assessed, then 96 out of 100 the next year. O'Neil writes, "Attempting to score a teacher's effectiveness by analyzing the test results of only twenty-five or thirty students is statistically unsound, even laughable." One analysis of the assessment showed that a quarter of teachers' scores swung by 40 points in a year. Another showed that, with such small samples, the margin of error made half of all teachers statistically indistinguishable. Nevertheless, the score might determine if the teacher was given a bonus, or fired. Although its decision was probabilistic, appealing it required conclusive evidence. O'Neil points out that time and again, "the human victims of WMDs are held to a higher standard of evidence than the algorithms themselves." The model is math so it is presumed correct, and anyone who objects to its scores is suspect. New York Governor Andrew Cuomo put a moratorium on these teacher evaluations in 2015. We are starting to see that some questions require too subtle an intelligence for our current algorithms to answer accurately. As Alan Turing said, "If a machine is expected to be infallible, it cannot also be intelligent." I asked Cathy O'Neil about the responsibilities of data scientists, both in their daily work and as reformers of their profession. Regarding daily work, O'Neil drew a sharp line: "I don't want data scientists to be de facto policy makers." Rather, their job is to explain to policy makers the moral tradeoffs of their choices. The same as any programmer gathers requirements before coding a solution, data scientists should gather requirements regarding the relative cost of different kinds of errors. Machine learning algorithms are always imperfect, but they can be tweaked for either more false positives or more false negatives. When the stakes are high, the choice between the two is a moral one. Data scientists must pose these questions frankly to policy makers, says O'Neil, and "translate moral decisions into code." Tradeoffs in the private sector often pit corporate interests against human ones. This is especially dangerous to the poor because, as O'Neil writes, "The privileged are processed more by people, the masses by machines." She told me that when the boss asks for an algorithm that optimizes for profit, it is the data scientist's duty to mention that the algorithm should also consider fairness. "Weapons of Math Destruction" tells us how to recognize a WMD once it is built. But how can we predict whether an algorithm will become a WMD? O'Neil told me, "The biggest warning sign is if you're choosing winners and losers, and if it's a big deal for losers to lose. If it's an important decision and it's a secret formula, then that's a set-up for a weapon of math destruction. The only other ingredient you need in that setup is actually making it destructive." Cathy O'Neil says the top priority, for data scientists who want to disarm WMDs, is to develop tools for analyzing them. For example, any EU citizen harmed by an algorithmic decision may soon have the legal right to an explanation, but so far we lack the tools to provide one. We also need tools to measure disparate impact and unfairness. O'Neil says, "We need tools to decide whether an algorithm is being racist." New data scientists should enter the field with better training in ethics. Curricula usually ignore questions of justice, as if the job of the data scientist were purely technical. Data-science contests like Kaggle also encourage this view, says O'Neil. "Kaggle has defined the success and the penalty function. The hard part of data science is everything that happens before Kaggle." O'Neil wants more case studies from the field, anonymized so students can learn from them how data science is really practiced. It would be an opportunity to ask: When an algorithm makes a mistake, who gets hurt? If data scientists take responsibility for the effects of their work, says O'Neil, they will become activists. "I'm hoping the book, at the very least, gets people to acknowledge the power that they're wielding," she says, "and how it could be used for good or bad. The very first thing we have to realize is that well-intentioned people can make horrible mistakes."